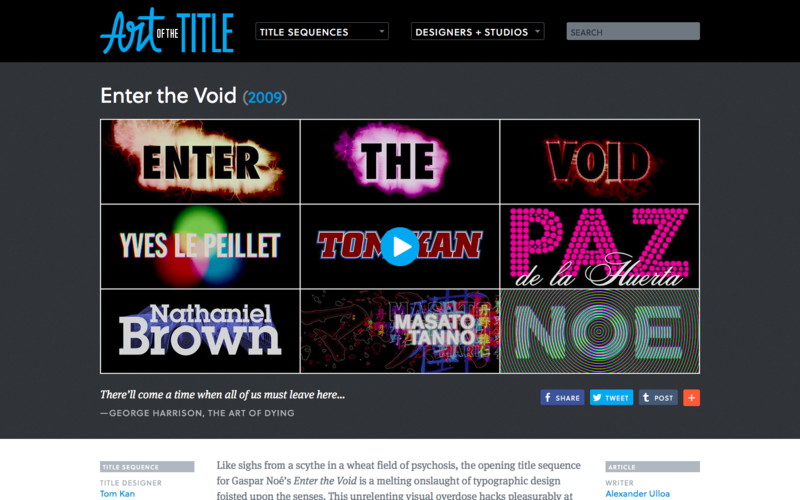 Like sighs from a scythe in a wheat field of psychosis, the opening title sequence for Gaspar Noé’s Enter the Void is a melting onslaught of typographic design foisted upon the senses. This unrelenting visual overdose hacks pleasurably at the viewer, as the tip of a nail does finding its destiny. Names become bright little deaths fired to a machine gun beat; the images encircle your pupils as LFO’s “Freak” drives the nail deeper.